Hello lovely crafters, coffee lovers, and coffee addicts. 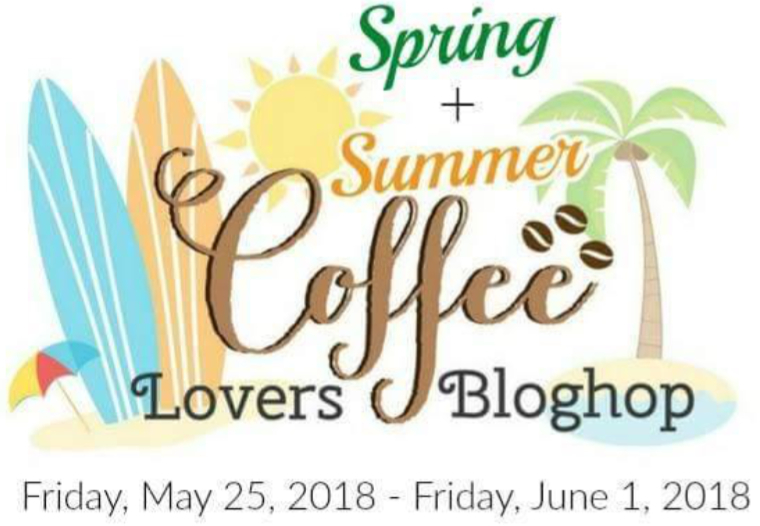 Did you know about the Spring/Summer Coffee Lovers Blog Hop? It’s an amazing blog hop that you get to link your own projects up and join in. The best part is there is a ton of sponsors, 87 of them. Wow, that’s a lot of awesome crafty prizes and a lot of chances to win something. Also, it lasts from May 25th to June 1st, that is almost an entire week, that is plenty of time to make a few cards; the more you make and enter the more chance you have to win. I mean, who doesn’t love winning free stuff? 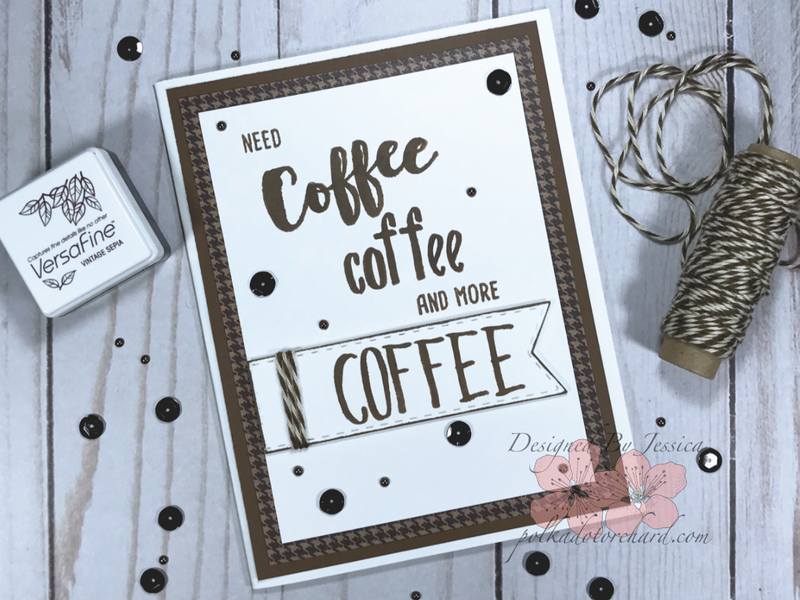 So make sure to head over to the Coffee Loving Cardmakers blog and check it out. 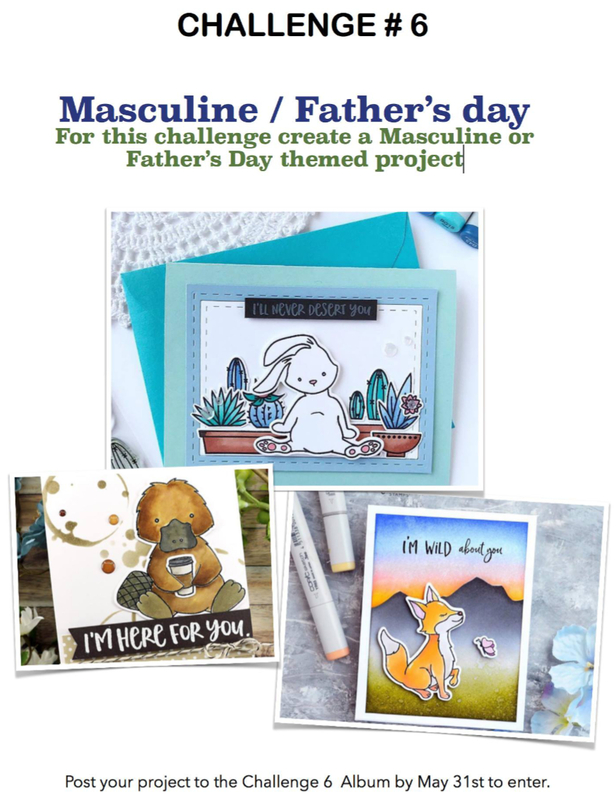 The card I made is actually a one for three’er The Honey Bee Stamps “Masculine/Father’s Day” Challenge, the Coffee Lover’s Blog Hop and So Suzys Stamp Masculine Challenge. I used a handful of Honey Bee Stamps (listed below) to stamp all the words in the front. I used Versafine Vintage Sepia and an acrylic block to hand stamp each letter and word. I actually double stamped each letter because I wanted the ink darker, I surprised myself by being able to do that because I was hand stamping them, no help from a stamping tool. The last word “COFFEE” was stamped on a separate piece of paper and then cut out with a stitched banner die. I edged it with the Vintage Sepia ink so it would stand out against the white background. I finished that part up by tying some brown and tan twine around the end of it and mounting it to the card base with some Scotch foam tape. I actually had to do it on a separate piece of paper like I did because I had originally stamped it on the card base like I did all the other words, but I messed up and had to fix it; thanks to the lovely banner die it was easy to fix. I finished up the front by attaching all my paper, the brown cardstock, the houndstooth pattern paper and my stamped panel. I used an Elmers tape runner to attach everything. The final touch was to randomly place sequin and flat back pearls around the card front, gluing them in place with Ranger multi medium matte. 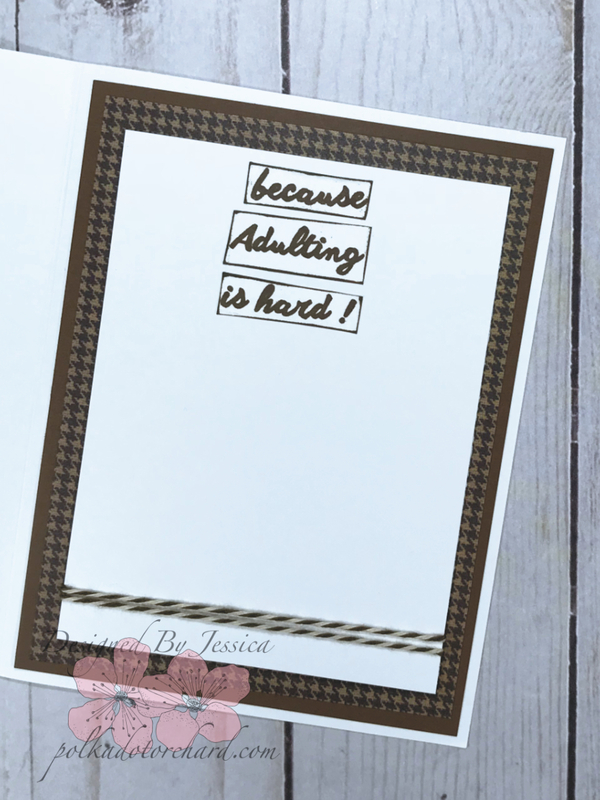 How perfect is the sentiment on the inside “because adulting is hard”? It’s a sentiment from the the February 2017 Unity Stamp KOM “Unexpected Places”. The sentiment is perfect for just about any coffee card, I can see me using this stamp a lot in the future. Well, That’s it for today’s post, I will try to get another coffee one done for the hop tomorrow. Make sure to grab your cup coffee and get crafting so you can join in the fun. Yes!! Always more coffee. Love this! Tis is so cool! 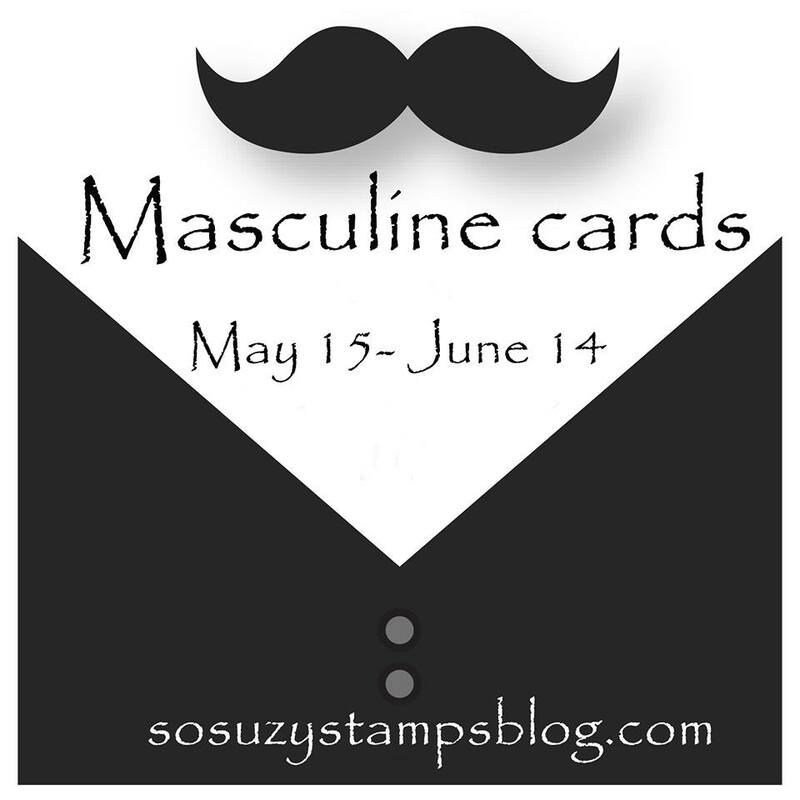 Awesome Masculine card and Coffee Lovers card! Works both ways!!! LOVE the stamps you used!!! Love the use of the twine. I like how you decorated the inside of your card as well as the outside. Fun card and some true words. Love this. Great use of twine, love this beautiful coffee card! Oh I ADORE this, great card! love the twine around the banner and inside sentiment area! Great masculine card! Love it! Great coffee design and perfect for the guys. Great card and sentiment! Spot on! Wow! Wow! Wow! This so cool!!! So cool! Love the sentiment! I agree with your card! 🙂 Thanks you for joining our challenge at Crackerbox & Suzy Stamps. Never too much coffee, that’s for sure! So glad you discovered the So Suzy challenge! Thanks for linking up with us!